There was a good turnout for today's Bushwood walk, despite threatening weather and a mix-up over the starting point. Apologies to the several people who went to the Warren Road car park, and thanks to those who got them to Bush Road only a few minutes late! 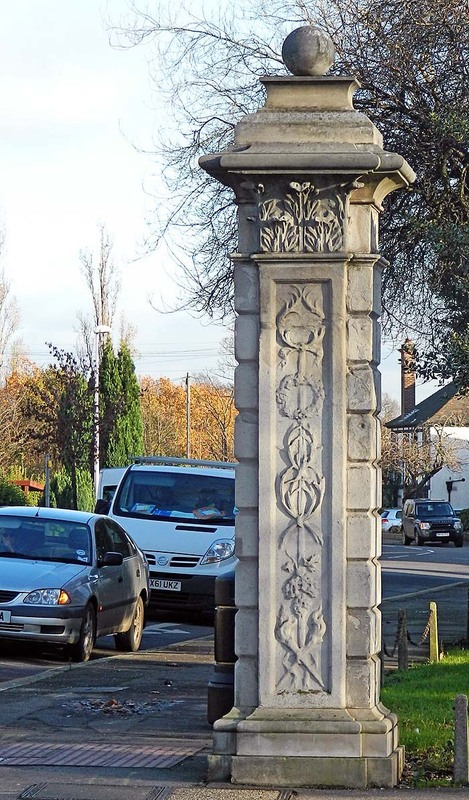 The group explored some of the historic features of this frequently overlooked part of Wanstead's historic landscape. Bush Wood is an area of naturally regenerated woodland which began to develop in the nineteenth century but has become much denser since the Second World War. Hidden among the trees are earthworks relating to the former ornamental avenues in the area, as well as a number of venerable sweet chestnut trees, now more than 300 years old, which survive from the avenues themselves. "...at the time of the demolition of Wanstead House, Mr. Davis, of Davis' Lane, and Mr. Money Wigram, of "Woodhouse," Harrow Green, noting the ruthless destruction, with a view to the sale of the timber, of the various long and beautiful avenues planted in the 17th century, radiating from the front of the house across Bush Wood in many directions, generously preserved for the public such of them as were not already destroyed, by purchasing them at their own cost, at a valuation, and keeping them untouched". The walk passed the two gate piers for the grand entrance to Wanstead Park which still exist on the west end of Overton Drive at the junction with Blake Hall Road. The Portland stone piers are topped with Corinthian capitals with ornamental ball-shaped finials and decorated with the monogram of Richard Child, owner of the Wanstead estate between (1706 and 1750), and later successively Viscount Castlemaine and Earl Tylney of Castlemaine. 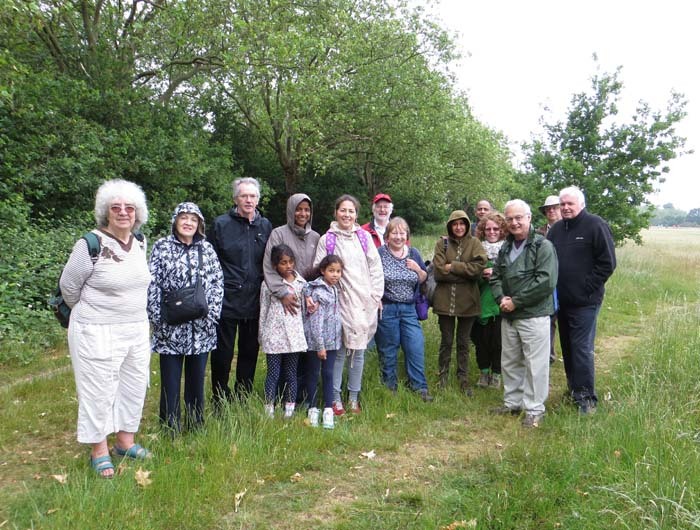 The group walked for some distance down the Evelyn Avenue, last survivor of those laid out by Sir Josiah Child (1630-99) which once radiated out from Wanstead House as far as Leytonstone to the west, the Eagle Pond to the north, and Capel Road to the south. The Evelyn Avenue is crossed by the line of the Roman road from London to Great Dunmow. Probably one of the better defined Roman routes, long sections are evident in hedgerows, field boundaries and surviving sections of road. Locally, distinct kinks in Leytonstone High Road and Cann Hall Road show its continuing influence. On crossing Wanstead Flats, the group learned of how the area had been landscaped and turned into playing fields in the early 20th Century as part of schemes to alleviate seasonal unemployment for unskilled workers. They were also told how Wanstead Flats had been a hive of activity during the Second World War, with prisoner of war camps, a rocket battery, military radio facilities, prefabs and allotments transforming it out of all recognition. Following the war, a proposal to build housing on large parts of Wanstead Flats was defeated only after a vigorous local campaign. Turning back north, the walk passed the Edwardian Lake House Estate. This attractive residential area almost exactly occupies the footprint of the former Great Lake, constructed in the 1730s and abandoned around 1818. In a peninsula in the centre of the lake stood Lake House, a banqueting house and place of entertainment for the owners of Wanstead House. Later, it was for a time the home of Thomas Hood, but was demolished in 1908 when the area was developed. At the north end of the lake was a huge ornamental mount which was partly destroyed in the 1960s to build the block of flats now known as Belgrave Heights. The "official" section of the walk ended back on Evelyn Avenue, but about half the party continued through the public park as far as The Temple. The Shoulder of Mutton Pond had a good selection of waterfowl, including a family of swans, great crested grebes and a heron. A range of seasonal wildflowers were in evidence along the route. The event was part of the 2015 Wanstead Park Festival.